The battery is for our caravan, which we have not started using yet this year. However it seems to be working efficiently. The process of ordering the battery and the dispatch of the battery from yourself was first class, but the delivery company UK Mail was very poor. Man delivered it straight to my door, good service. Battery installed in my campervan, doing it job nicely. Rien a redire........tout a été parfait ! A great alternative for a rarely used BMW R100RS. An occasinal charge is all it needs. Great service and sound advice from phone call. Strongly recommend. I had to search around to find a battery which would fit the space of the old one and Tayna had what I needed at a reasonable price. Although it has a lower capacity than the previous one, I expect it to be enough to keep the fridge going for a couple of days. Only time will tell about this. The delivery service was top rate with a text to tell me the one hour window for drop off, and it came at that time. All good so far, ask me again in three years time! Very unhappy with this battery purchased in Sept 2016. Very poor performance. Will not be purchasing another of this brand. Will be contacting the complaints dept to see what they say. 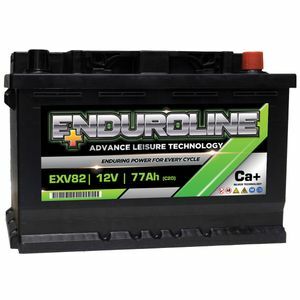 Excellent advice and service battery arrived next day, perfect thankyou.